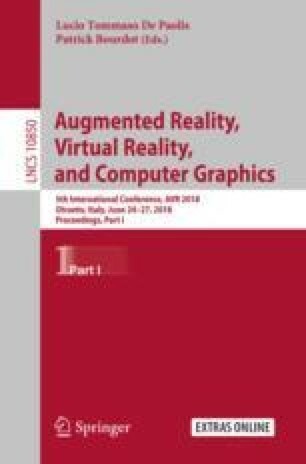 This article proposes the development of an augmented reality application that allows the user to preview in real time the product you want to buy, in the same way you can modify the characteristics you want to adjust it to your tastes and needs before making the purchase. The proposal includes the design of the application that incorporates a catalog of living room, dining room and bedroom furniture; the user will be able to modify characteristics of size, color and texture in a way that emphasizes the interaction with the consumer, to this is added the possibility of showing relevant information about the furniture as they are visualized and modified, it allows to reduce the uncertainty of the user and at the same time allow a participatory action where the user is the protagonist. The augmented reality application My Style AR can be used in handheld devices that have support for augmented reality level 2.0. The authors would like to thanks to the Corporación Ecuatoriana para el Desarrollo de la Investigación y Academia –CEDIA for the financing given to research, development, and innovation, through the CEPRA projects, especially the project CEPRA-XI-2017- 06; Control Coordinado Multi-operador aplicado a un robot Manipulador Aéreo; also to Universidad de las Fuerzas Armadas ESPE, Universidad Técnica de Ambato, Escuela Superior Politécnica de Chimborazo, and Universidad Nacional de Chimborazo, and Grupo de Investigación en Automatización, Robótica y Sistemas Inteligentes, GI-ARSI, for the support to develop this work.